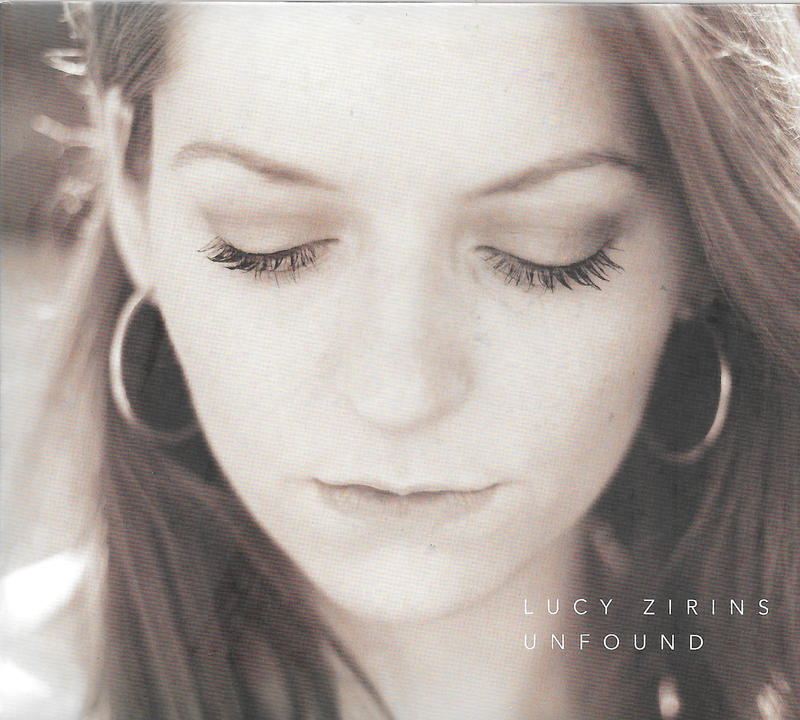 Welcome back to singer/songwriter Lucy Zirins with her new album Unfound. What a long way Lucy has travelled since her first album Chasing Clocks released in 2013. Since then there has been an EP, What’s In Front of Me and a Live album at the end of 2017. This, her fourth studio recording is a huge leap forward Lucy has found a style and approach to music that fits her voice and guitar playing perfectly. There is an intimacy that she achieves with ease on stage and has bottled that charisma in the studio so that the warmth is felt with the notes cascade from your speakers. Opening with One Long Goodbye, a bittersweet opener. The tantalizing opening as the guitar stutters, once joined by percussion and Lucy’s trademark vocals the story unfurls. The pace picks up and we are deeply immersed in the lyrics delivered with heartfelt phrasing by Lucy. How do you define her? Singer/songwriter is a statement of fact. It is the craft that Lucy studies and continually strives to deliver the best sound and vocal phrase to capture the tone and emotion of the moment. Lucy has woven together rover the four albums a range of styles and influences. Cheeky pop is caught up in the blues, then modified again by Country influences and Lancastrian common-sense and English Folk. What glues these styles together in Lucy’s work is that they are rooted in reality, the here and now, the truth in the upfront and honest vocalization of every word sung. A majestic number. The second track has a darker feel, with gospel spirit borrowed with faith and hope explored within the Right Side of Wrong. There is a bell intoning a plea for finding your way out from dark to light. The album progresses exploring depression, love lost on the emotional journey we all take as humans trying to find a place in a ever-changing complex world. Unfound is a modern album, capturing the contemporary mood of self-doubt and uncertainty as we try and find our identity. This is captured in the melodic fluidity of Time To Go. The tonal landscape changes with Clean Condition. It is a simple song with a jaunty inflection as Lucy wishes her heart was not in clean condition but wishing it was torn and tattered like her favourite piece of clothes is the refrain that links the verses a must listen number. The shades darken as Lucy says Hold The Night Back with the finger picking guitar mixed with lots of reverb this is Lucy taking herself out of her comfort zone her voice deepens and this is a song immersed in the wild mysteriousness of nature captured in the clever soundscape. Leading into the title track, the guitar is replaced by keys. We go up an octave on a track that stretches you as it encompasses a road that leads back to you; as she sings the truth I am Unfound. There is a gentleness, the vulnerability o opening up your thoughts contained in the song and across the album. Closing the album we have a country infused Don’t Look Back as Lucy crosses and melds genres with her skills as guitarist, singer and the amazing ability to shape words into melodic poetry. A sad song as the singer implores Don’t Look Back as she isn’t that tough. That may be the case on the song but the inner resilience of Lucy is found on this album as she stands up and faces the world with an album that will be listened to often. This is a confident, assured Lucy, playing electric guitar and bass for the first time between her and producer Jim Knight they played almost every instrument. The album sparkles it has found its direction, and the year it took to make between other projects was well spent in Knight Time Studios with Jim Knight at its helm. The album has a maturity, reflective a purity in the simplicity of delivery. The refrains are never whimsical as this northern lass adds the grit of reality. This is a collection of eleven songs that are authentic in their honesty this is the heart and soul of Lucy caught within beautifully executed songs.